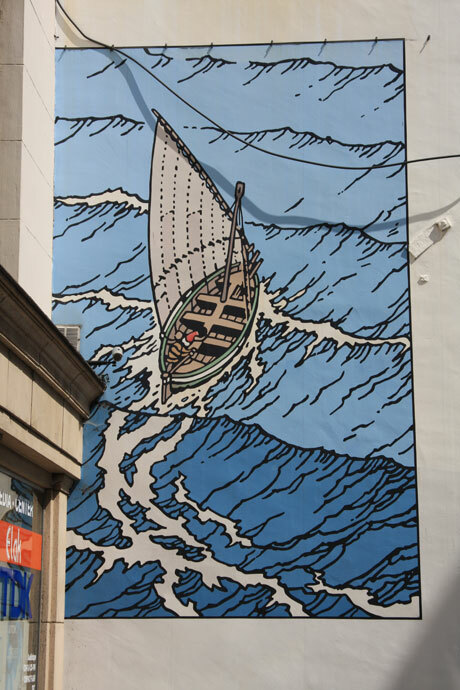 The 48 square meters Cori le Moussaillon comics strip mural is found at 21 Rue des Fabriques, 1000 Brussels. Six albums were created by Bob de Moor (Robert Frans Marie De Moor) from 1951 to 1993. 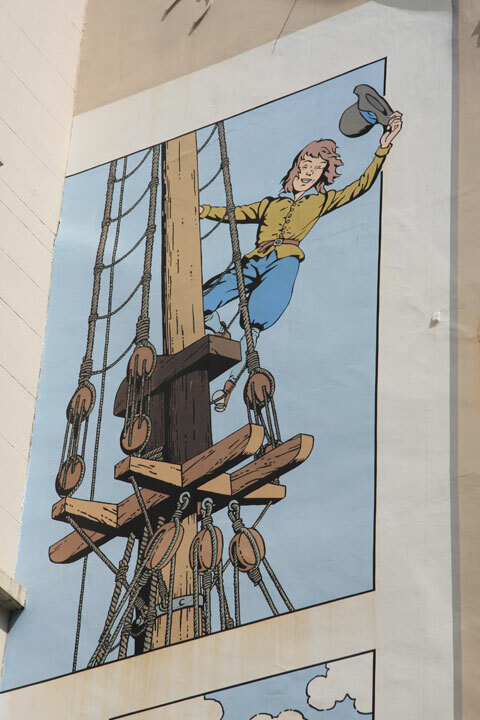 A true masters of the Belgian Clear Line style, he cooperated during his career with other famous Belgianc Comic strip artists such as Hergé and Willy Vandersteen. 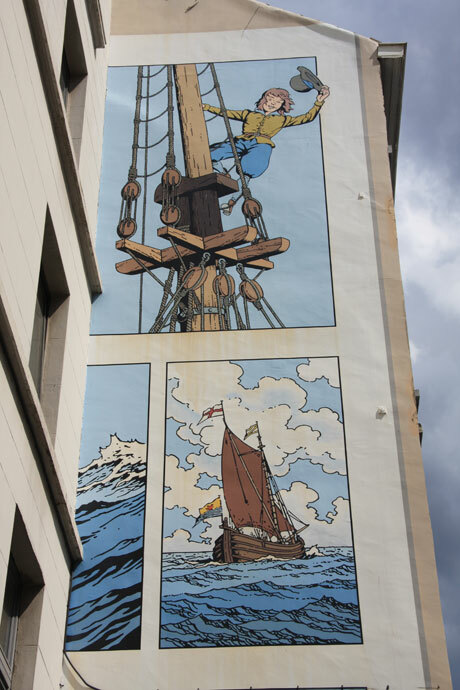 Growing up in a port city he developed from an early age an interest for drawing sailing ships. 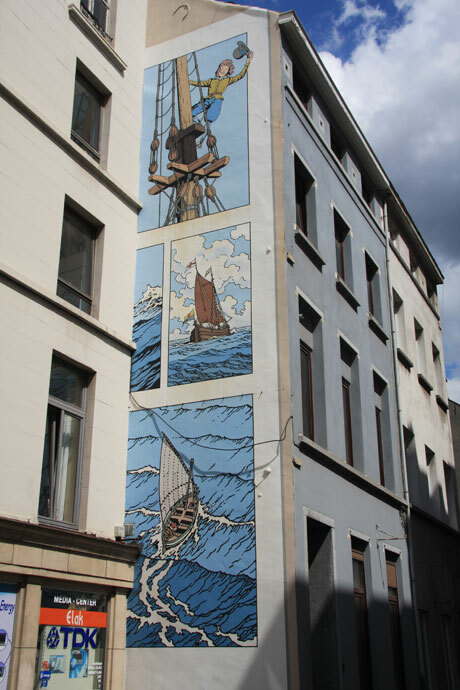 You are currently reading "Cori le Moussaillon mural"